Little Furious is a cooperative multiplayer runner and alchemy game running on Sifteo Cubes. 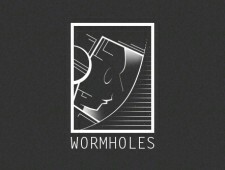 Wormholes is a LD48 project in which the player controls a spaceship through levels procedurally generated from audio data. 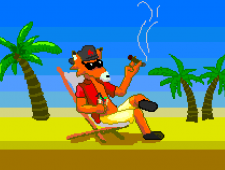 Vamos a la playa Señor Zorro is a Nintendo DS game developed by a team of 5 in about a week for the No Future Contest organized by L’Oujevipo in July 2013. 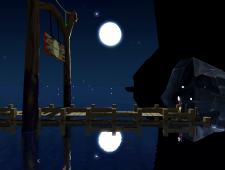 Lune is a game about reflection and solitude which lets you control the Moon, which implies influencing tides, reflecting light in various ways and modifying gravity. It’s a long, long night is a game about prolonging the magic. As the stars fade away in the morning, your goal is to rekindle their light in order to delay the sunrise and enjoy the longest possible night. Why are you running, Philibert ? Why are you running, Philibert ? 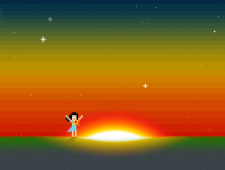 is a strange platformer in which you control the platforms, not the main character. 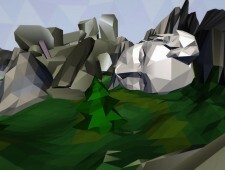 It was developed in 48 hours for the Charity Game Jam 2012. Paradis Perdus (Lost Paradises) attempts to convey the feeling of not belonging. You find yourself in a beautiful world, and you soon realize that your presence poses a problem: you literally destroy everything you touch. 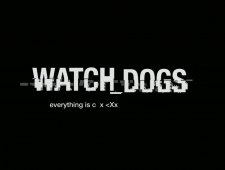 Watch Dogs is a soon to be released game from Ubisoft, set in the near future, with a strong cyberpunk tone. I attempted to re-design the soundtrack of its trailer, as an exercise.